Savannah Orthopaedic Foot & Ankle is dedicated to keeping you on your feet. Even minor pain can be a sign of a more serious disorder that, if left untreated, could lead to bigger complications. The foot and ankle consists of 28 bones, 33 joints, 107 ligaments and 19 muscles. Each day, these complex structures support us in taking an average of 8,000 to 10,000 steps. Throughout a lifetime, that adds up to approximately 115,000 miles – more than four trips around the world! It’s easy to see how 3 out every 4 Americans experience some type of foot or ankle problem in their lifetime. Luckily, we're here to help. Dr. Steven L. Shapiro has dedicated his career to treating foot and ankle problems and is recognized as a leading authority on innovative surgeries and treatments for foot and ankle disorders. 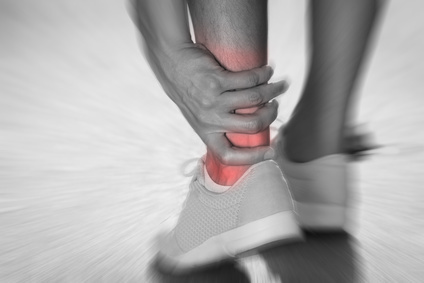 If you are experiencing foot and/or ankle problems, call us now at (912) 352-3338 to set up an appointment. Savannah Orthopaedic Foot & Ankle provides a full array of surgeries and treatments to help you get back on your feet again. Importantly, we know and appreciate that each patient is unique and requires specific, individual treatment. Dr. Shapiro is renowned for his individual care and precise surgical, minimally invasive, and non-operative treatments across the spectrum of foot and ankle disorders. With over 41 years of orthopedic surgery practice, Dr. Shapiro is a nationally-acclaimed orthopedic surgeon and continues to refine his craft by applying the newest, cutting-edge foot and ankle surgery techniques and non-operative treatments. He looks forward to helping you with your foot and ankle issues. Click below to learn more about specific conditions we treat and the procedures we perform.